So far in 2018, the choppy up and down moves have been based on one thing: President Trump’s tweets about trade issues with China. After an announcement was made on Sunday that the two parties are agreeing to a truce in the trade wars, U.S. and Chinese stocks jumped sharply higher. The details of the agreement still have to be worked out, but investors are obviously viewing as good news. The key points from the U.S.’s vantage point were protecting intellectual property rights and lowering the trade deficit between the two countries. The intellectual property rights issue wasn’t addressed in Sunday’s announcement. The trade deficit was addressed, but only with the statement that China pledged to buy more goods from the U.S.
President Trump has made international trade a priority of this administration. In addition to the trade deficit with China, he has taken aim at the North American Free Trade Agreement (NAFTA). He has threatened to withdraw the U.S. from the agreement with Canada and Mexico which has been in place for almost 30 years. 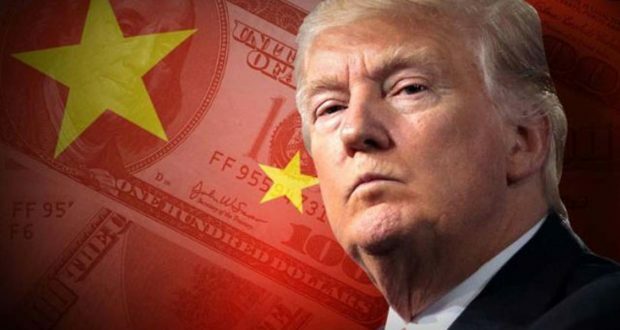 The reason President Trump has threatened to withdraw from NAFTA and targeted the trade deficit with China is that he says they are unfair. Whether or not the trade relationships are fair or not, the U.S. has benefitted in both cases. Yes, China may have benefitted more and the same could be said for Mexico and Canada. But there are certainly benefits being reaped here as well. Could the relationships be worked on to make the deficit with China better? Absolutely. Could NAFTA be revisited to see if there are areas where things have changed dramatically over the last 30 years and need to be re-written? Absolutely. In this regard, President Trump is right. The trade agreements and relationships we have with all trading partners need to be revisited from time to time. Industries are constantly changing and something that was extremely important 20 years ago may not be as important now. Think about how important VCRs were 30 years ago. The trade agreements need to be fair, but that doesn’t mean we will have completely balanced trade with all other countries. That is simply not possible and it wouldn’t be in our own best interest. Economic theory suggests that each country should specialize in producing in areas where they can operate more efficiently than others. China has an advantage of low-cost labor and that is why so many products are produced there. U.S. consumers benefit from the lower labor costs as it keeps prices at the consumer level in check. The U.S. has a competitive advantage in the production of wheat and other grains. We export a great deal of wheat and sorghum to China as well as to other countries. Our farmers benefit from the increased demand from exporting. The Chinese government targeted sorghum specifically with a recent tariff. One of the concessions it made during the meetings last week was to withdraw the tariff and offer to return any money collected from it. In the same way that low-priced products from China benefit U.S. consumers, low-priced sorghum benefits Chinese consumers. This is the fine line countries walk when discussing and negotiating trade deals. Any changes that disrupt the current trade flow can have adverse effects on the citizens of both countries. For instance, if the recent tariff war had been long lasting, many of the products the U.S. imports from China would have gone up in price and it could have pushed inflation up. The tariff from China on sorghum could have caused demand to drop and U.S. farmers would have had to dial back production. This could have caused a bump in unemployment as less production requires less labor. And it has a domino effect. Less demand and less production means less transportation needs, less fertilizer, etc. The U.S. and China are scheduled to have a third round of meetings in the coming weeks in order to hammer out the details of an agreement. It will be the goal of the U.S. delegation to lower the trade deficit with China, but it wouldn’t be in anyone’s best interest to have the trade between the two countries completely balanced. The same basic principles apply to NAFTA and any renegotiations between the three countries. The trade between the three countries is far more balanced than the trade relationship with China, but any disruption to the current trade levels could have an adverse effect on all of those involved. Re-working the agreement should be done with fairness and with an eye toward the future. All parties will want to avoid any disruptions that could cause a drop in GDP or employment and a bump in inflation.